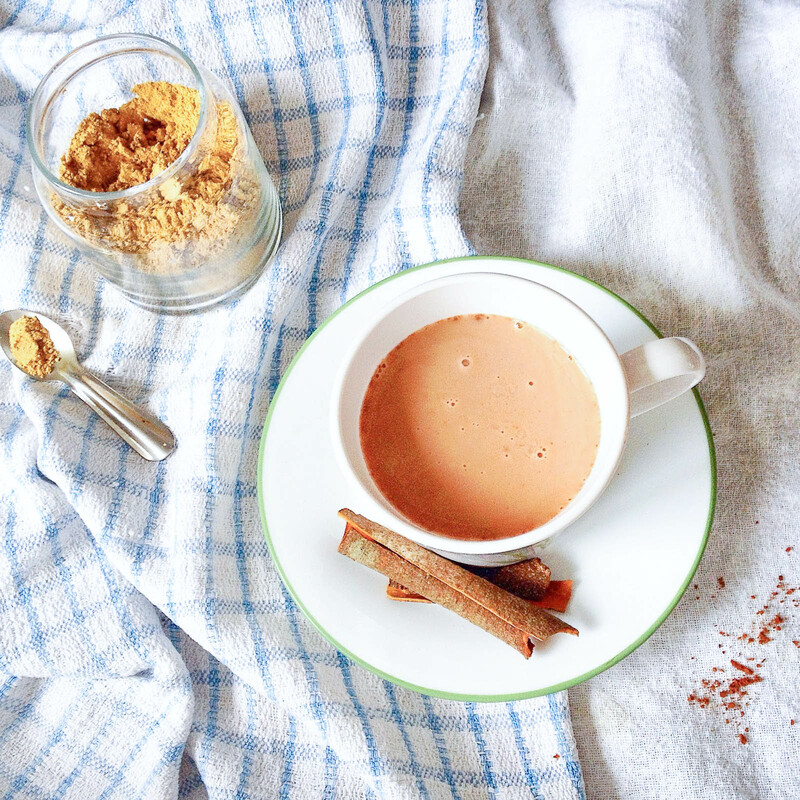 Ground ginger - this aromatic spice traditionally used in Indian chai is known to aid digestion and prevent bloating in addition to reducing inflammation, relieving stress and strengthening immunity. Ground cinnamon - this spice not only acts as a flavour enhancer but is also believed to fight against fungal infections, lower bad cholesterol and stabilise blood sugar. Raw cacao - although chocolate has a reputation for expanding the waistline, raw cacao has surprising health benefits. Cacao contains a high level of antioxidants, could reduce risk of cardiovascular disease and boosts mood-lifting endorphins in your body! Such a delicious yet amazingly simple recipe that could easily replace your usual tea or coffee. I hope you give it a go too! Stay tuned as there are an assortment of posts coming your way!